Impressions from icy landscapes in Nordenskiöld Land, not far from Longyearbyen. 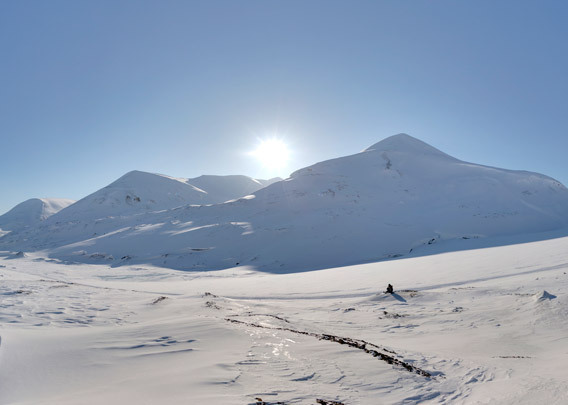 Tellbreen is easily reached in winter on ski or by snow mobile, whereas it is much harder to get there in summer. 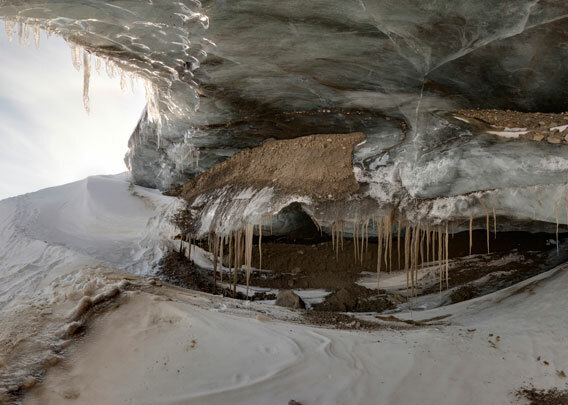 The appereance of the landscape will also vary greatly with the seasons: in summer, the meltwater caves of the glaciers, Tellbreen in this case, are filled with torrential meltwater streams. 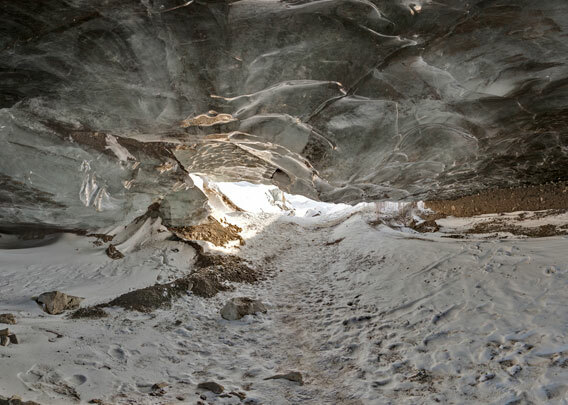 In winter the meltwater channels and caves are dry and it is an amazing experience to enter a glacier through a cave of ice. 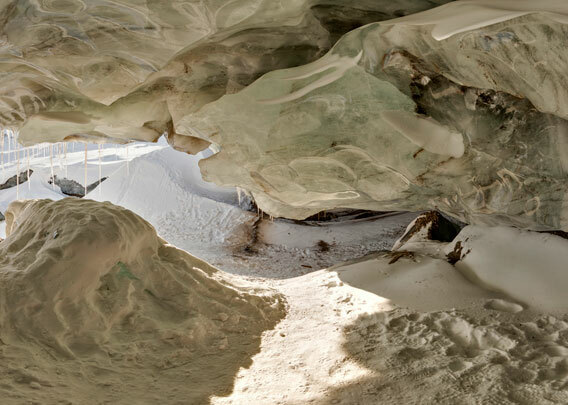 The beautiful ice caves shown in these panoramas were photographed in 2013 and 2014, they collapsed in following years. Glaciers and their drainage systems are constantly changing, and new ones may evolve. Tellbreen is in a side valley of Helvetiadalen, which is connecting Adventdalen northwards to De Geerdalen and Sassenfjord. A lovely summer hiking route. Tellbreen (-glacier) is one of many glaciers between Adventdalen and Sassenfjord. 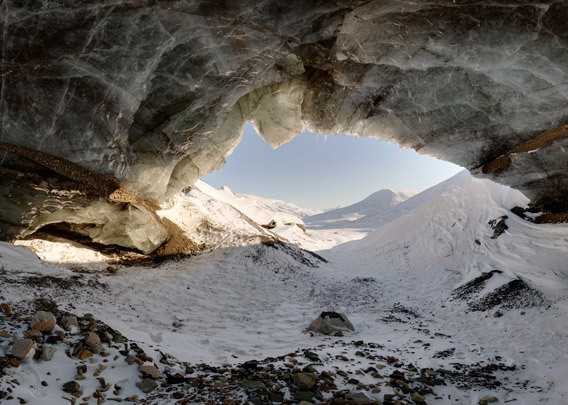 As many other glaciers, it has glacial caves: meltwater channels that fall dry during the winter. 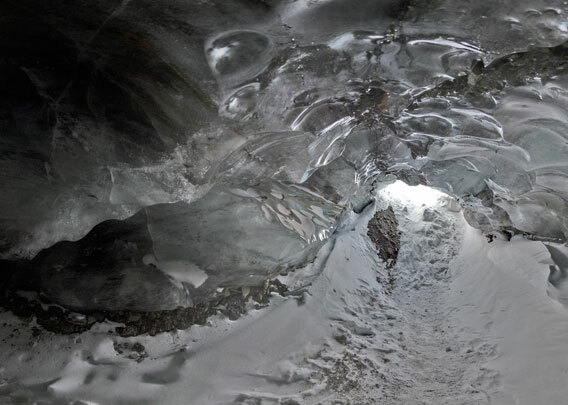 Some of them are easy to access and offer amazing insight into the interiour of a glacier. Care needs to be taken, however: these caves can obviously be extremely slippery and may suddenly drop down very steeply.